Hi friends! I'm have NO idea what's going on this week! I keep forgetting what day of the week it is! And due to the weather and the fact that I saw a Valentine's stamp being released, I thought it was February yesterday. Sigh... Anyone else have weeks like this? I hope I'm not just crazy! 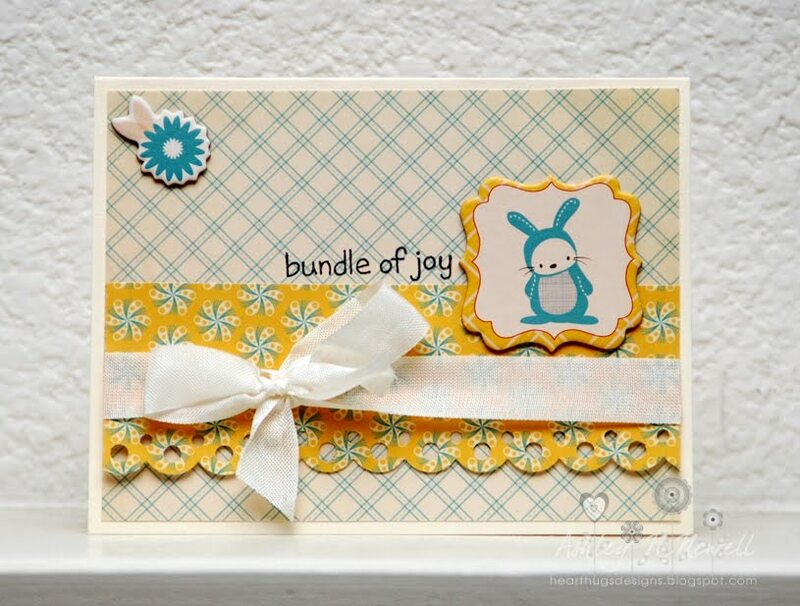 Here's a fun card I threw together with some Cosmo Cricket Togetherness papers and chipboard. 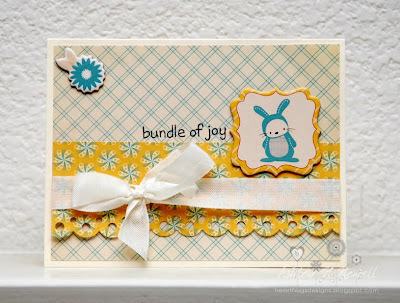 The sentiment is from Lawn Fawn's Plus One set. I love having a baby set that really suits me! :) The ribbon is just plain seam binding that I didn't do anything with. Imagine that, right? I used it just as is! what a cute card nice job.